The AVA Theater District apartment building on Stuart Street is one of many luxury developments new to the market in Boston. These are good days to be a well-heeled renter in Boston. With so many new luxury apartments coming onto the market, landlords are increasingly competing for tenants able to afford rents that can start at $2,800 for a studio and be two or three times that for two-bedrooms. Agents marketing newer buildings are offering a month or two of free rent, or a break on brokers’ fees. Meanwhile, owners of older brownstones in the Back Bay and the South End are cutting rents to compete. The competition is a noticeable shift, real estate brokers said, from the go-go days of the past few years, when it felt as if landlords held all the cards and rents could only go up. The concessions remain confined to the high end for now, and mostly to Boston, where the new luxury properties are concentrated. The broad middle of the rental market — where two- bedrooms rent for $2,500 or less — is as tight as ever, and overall rents are climbing at their fastest pace in three years. But the slowdown in high-end Boston real estate serves as reminder that the laws of supply and demand still do apply. Just 2.6 percent of apartments here were empty in the second quarter, according to new figures from the Census Bureau. So far this year, more than 2,200 new apartments have opened in central Boston neighborhoods, where rents are typically among the city’s highest, according to the Department of Neighborhood Development. Nearly 2,600 more are under construction. 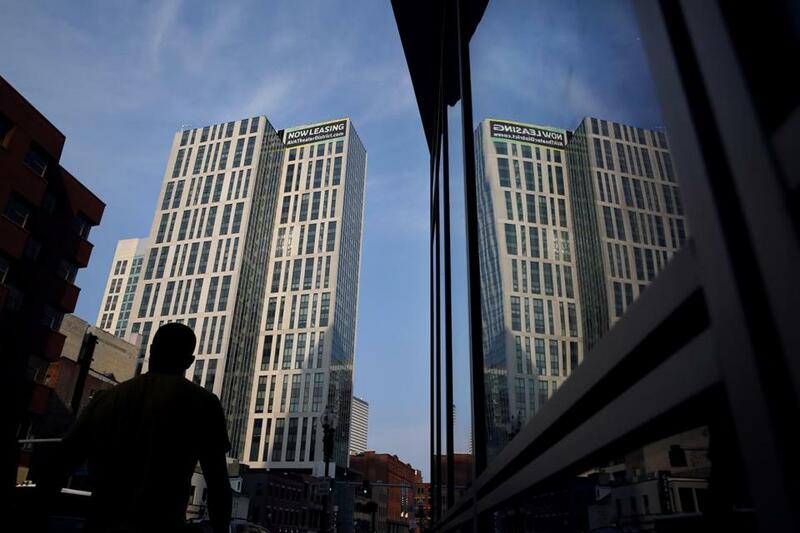 Most are in buildings such as the Ink Block in the South End, or Van Ness in the Fenway: complexes with rooftop lounges, concierge service, and the kind of finishes normally seen only in condos, such as floor-to-ceiling windows and stainless steel appliances. Their rents are big, too: A 500-square-foot studio at Van Ness starts at $2,700 a month. Two-bedrooms in the new AVA Theater District stretch into the $7,000s. And those landlords are all fishing in the same pool of renters, said Jason Gell, president of Boston’s Luxury Properties in Brookline. The competition is especially fierce when the new buildings first open. The faster a building leases up, the better, said Ted Tye, managing partner at National Development, whose three-building Ink Block complex on Harrison Avenue opened in February and is now 90 percent full. Tye said it is easier to keep a tenant than win a new one, even if it takes a sweetener to get him or her in the door. “You’re usually better off having someone in there paying rent than having it sit empty,” Tye said. And incentives — a month or two of free rent at Ink Block, where a one-bedroom unit starts at $3,400 — were built into the property’s budget. They’re also a way to get would-be renters to visit and get a taste of the amenities and high-end finishes, said Diana Pisciotta, spokeswoman for Samuels & Associates, which owns Van Ness. Still, the competition is having a ripple effect. The Back Bay, the South End, and Beacon Hill are full of apartments that vie for the same renters in the same price range. Those apartments may have historic charm, but not a club lounge. Derek Ebrecht, a broker with Boston City Properties, has a one-bedroom in the Back Bay for $2,250, with two months of free rent, in part because of the noise of nearby construction. Despite the discount — and pictures of a sunny unit with exposed brick — his phone isn’t exactly ringing off the hook. Of course there are only so many people who can pay pricey downtown rents. And for those who can’t, the high-end glut is bringing little relief. Across the metro area, average rents climbed 5 percent in the 12 months ended in July, according to the real estate data firm Axiometrics — the fastest clip in nearly three years. 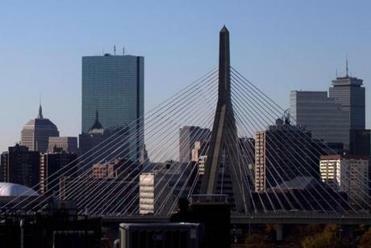 The fastest increases are in the less- expensive neighborhoods, places like the South Shore, where the average of $1,976, according Axiometrics, is a little more than half what it is downtown. Again, said Carl Valeri, president of Hamilton Co., it boils down to supply and demand. “There’s just a lot more Chevy buyers than Cadillac buyers,” said Valeri, whose firm manages nearly 5,800 apartments in Greater Boston. And while they command higher rents, luxury units don’t cost much more to build than mid-range units, Valeri said. So developers stick to the high end. Most of the 2,600 units under construction in the core of Boston will charge top-tier rents, as well. at timothy.logan@globe.com. Follow him on Twitter at @bytimlogan.